It might have been the U.S. Navy that introduced the “force for good” meme 5 years ago with their imperial recruiting slogan, “A Global Force For Good”. And my former employer, Northwestern Mutual, modestly limiting its reach to the world around them, quietly claimed to be merely a “Force For Good” (this thought directing campaign was nestled between the very popular “Be One” and “Embrace Change”.) 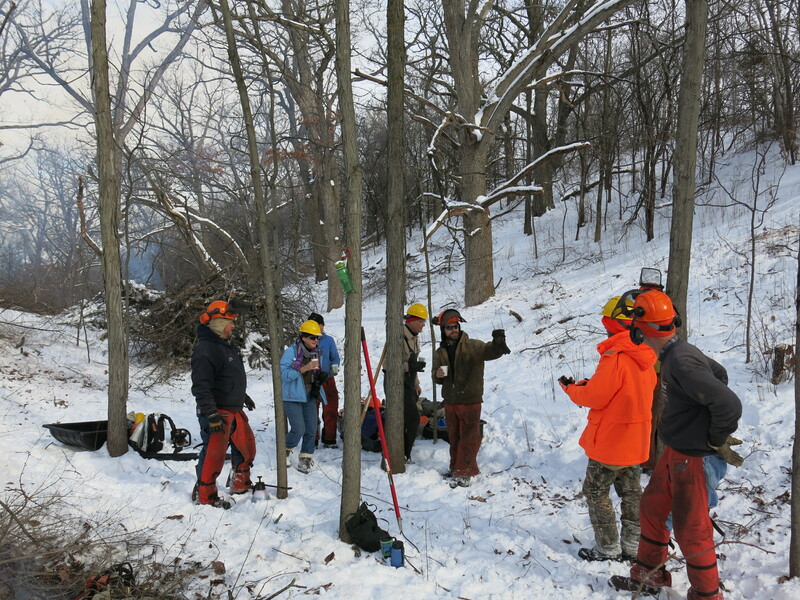 Even the alternative “B” Corporations have gotten into the act claiming that they are, “using business as a force for good.” I’m going to double down on these usurpers and make the bold claim that people who commit their lives to taking care of the land are A Conservation Force For Good! 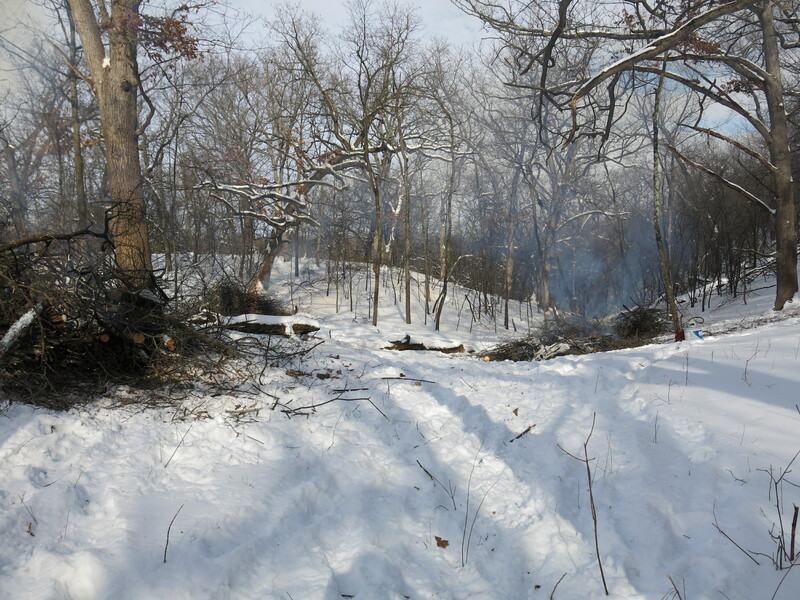 Yesterday I had the pleasure of working with DNR Conservation Biologists Jared Urban and Nate Fayram, and a team of State Natural Areas Program volunteers led by Zach Kastern and Ginny Coburn, as we cut and burned buckthorn at the Whitewater Oak Opening, which is part of the Clifford F Messinger Dry Prairie & Savanna Preserve SNA. I new it was going to be a great day when I spotted a gloriously bold and free, Bald Eagle, in a tree above the Scuppernong River, just below the Hotel Springs where I had stopped to get some water. 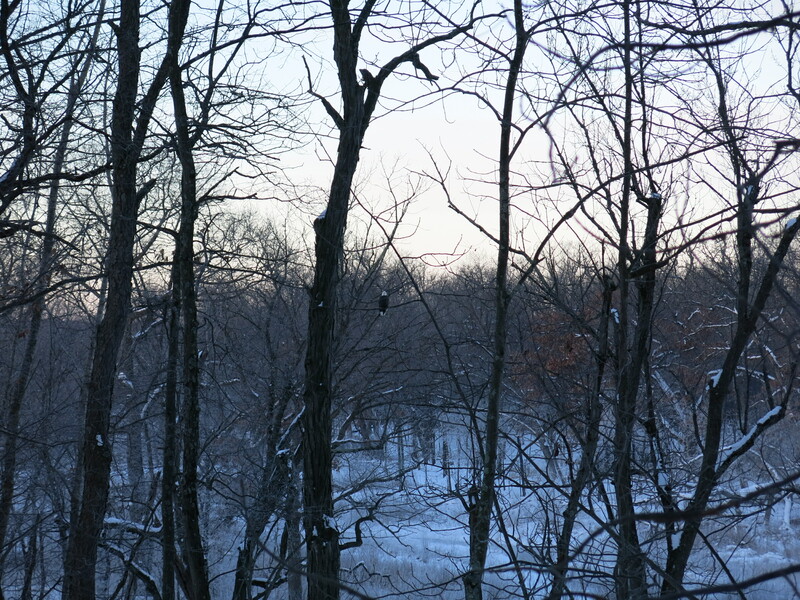 These birds are awe inspiring and I recalled that the last time I saw one in the Southern Kettle Moraine Forest was more than 10 years ago, when I took my parents, Al and Elaine Mozina, to visit Brady’s Rocks. 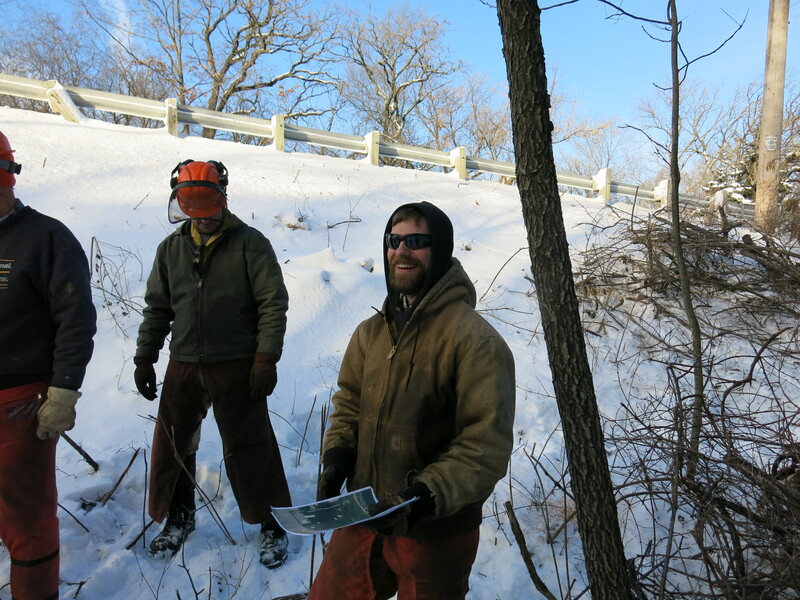 Jared Urban spends half of his time with the DNR nurturing and coordinating volunteer efforts at State Natural Areas in the southern half of Wisconsin, and we could sure use a few more like him to coordinate efforts in the rest of the state. Jared lays out the plan for the day. 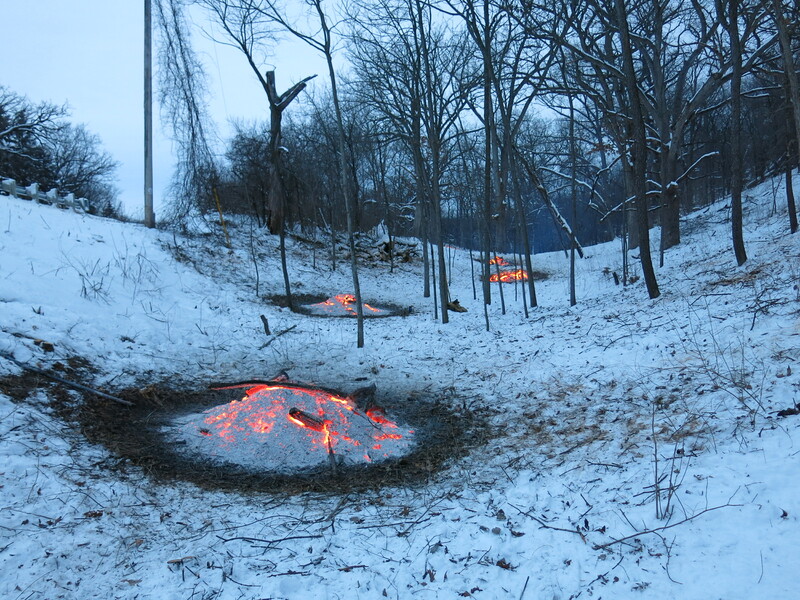 The brush piles were relatively fresh and buried under a couple inches of snow, so it took a little extra effort to get them lit. Scott Farrell delivers air to the fire. 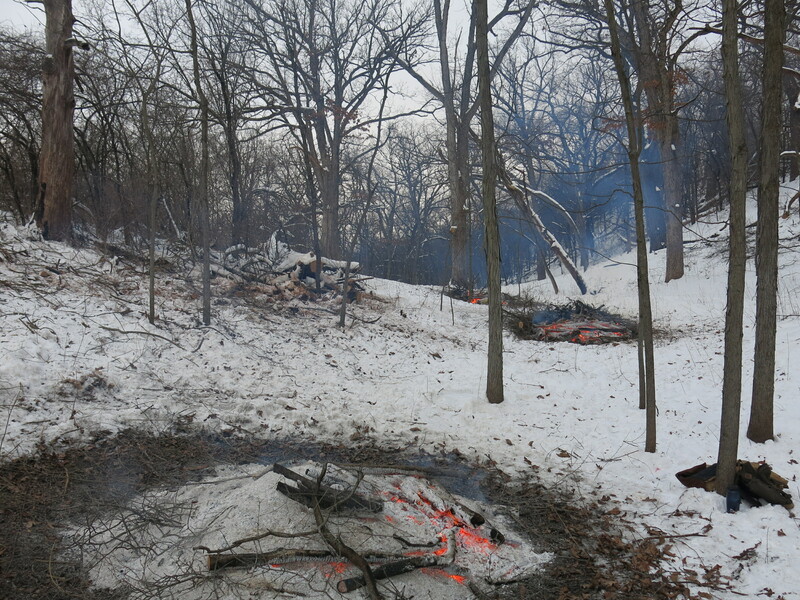 Some of us worked on lighting the piles while others cut fresh buckthorn and threw brush on the fires. 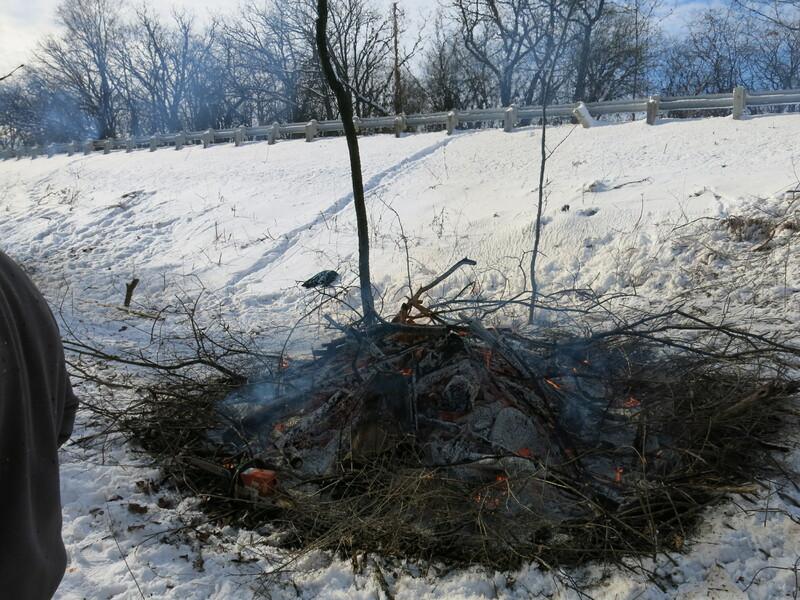 We managed to get 8 piles burned and expanded the perimeter of cut buckthorn in their vicinity. 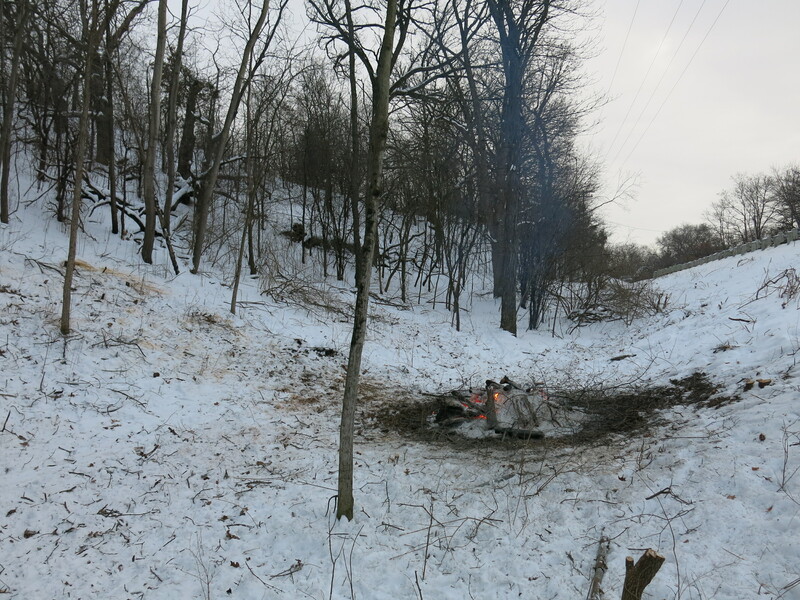 Scott and Herb worked for a few hours after lunch and Zach hung out with me until we had consolidated all of the burning piles. 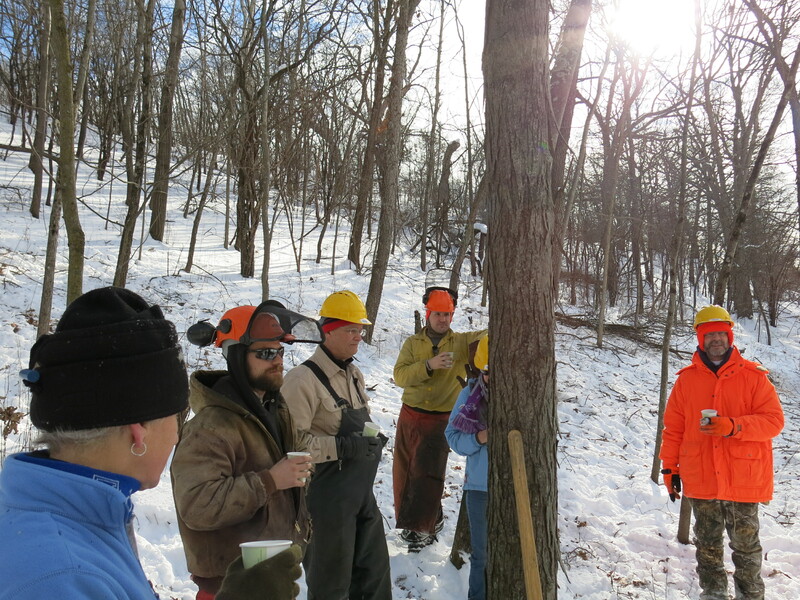 As we tended the piles, Zach told me about the Natural Resources Foundation of Wisconsin, and specifically about their support for the State Natural Areas Program. He told me about the Wisconsin Wildlife Action Plan and promised to send me the links. 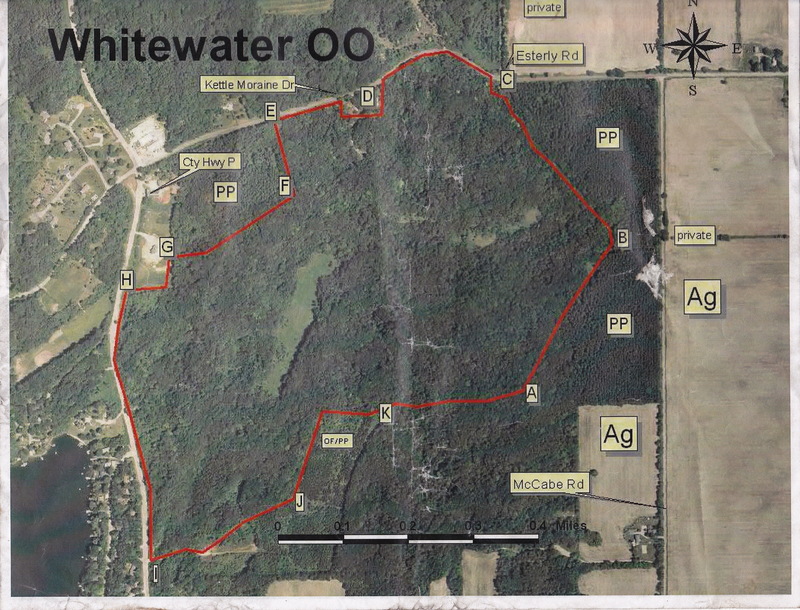 I’m looking forward to reviewing the results of these plans, a decade after their conception, that I’m sure the DNR will publish. Well, to be honest, I’m more than concerned: I feel like George Tenet, former CIA Director who said before 9/11 that, “my hair was on fire!”. 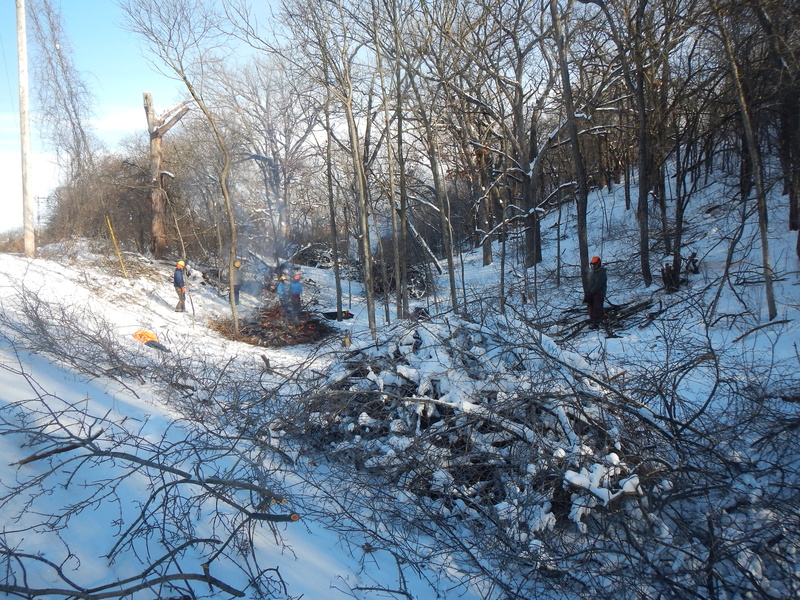 Can “we the people” succeed in reaching the conservation goals outlined in the DNR documents linked above if the current funding levels are not dramatically increased and we don’t get a much more substantial volunteer contribution across the state? 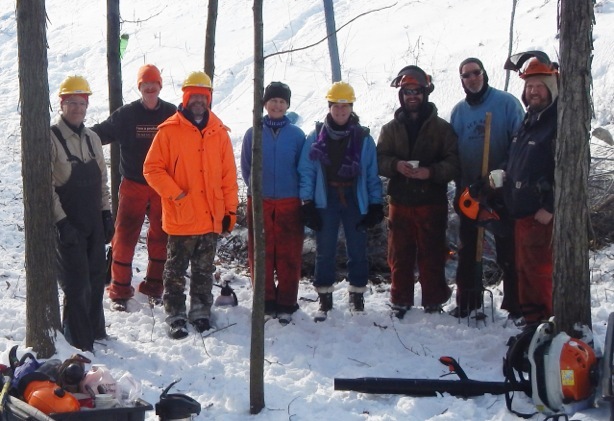 Take a look at the 2013-2015 and 2015-2017 Biennial Budgets for the Wisconsin DNR and compare the average $570 million annual allotments to the amounts we have spent on our Intelligence Agencies alone since 9/11. 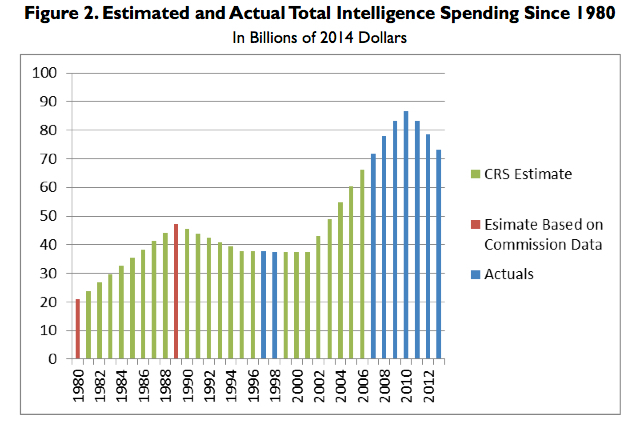 And the proof is not in the pudding as all this money spent has actually increased the number of terrorist attacks. 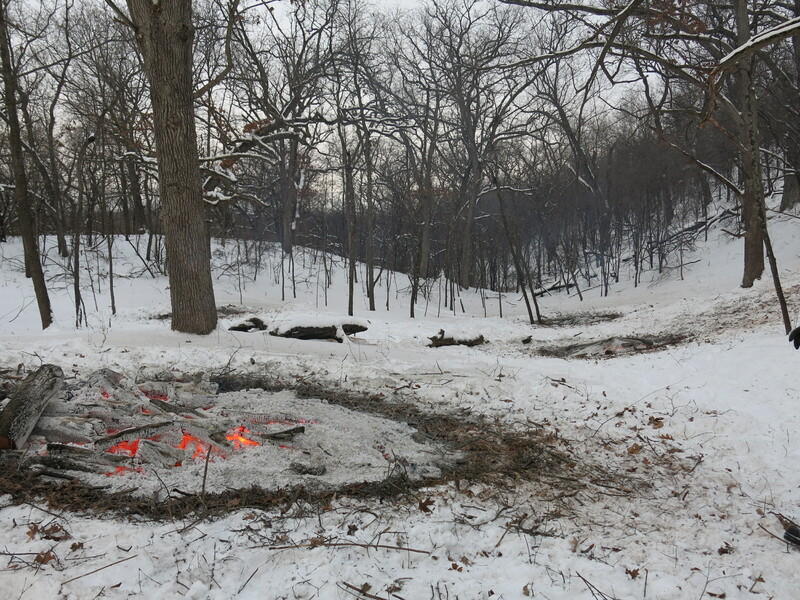 I’m getting all riled up here, lets calm down by the fire and just talk. 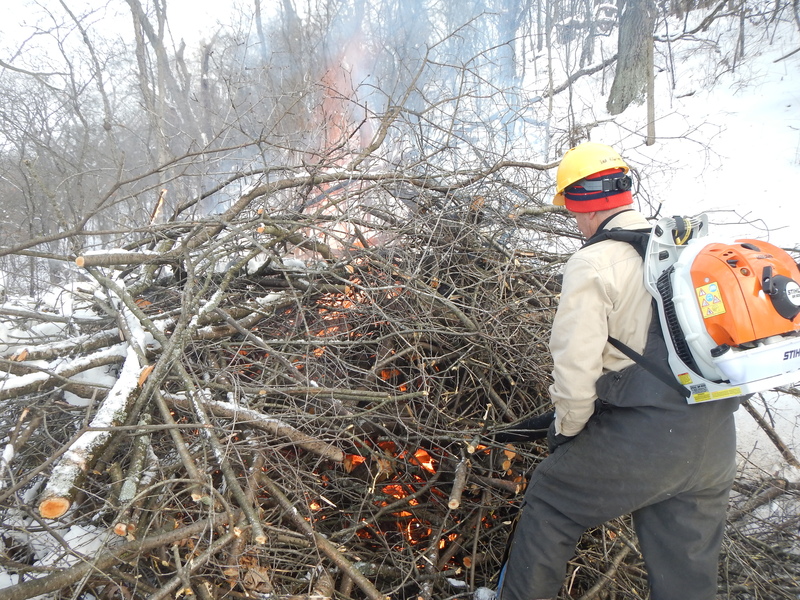 This entry was posted in Brush Pile Burning, Buckthorn, Clifford F Messinger Dry Prairie and Savanna Preserve, Whitewater Oak Opening and tagged Clifford F Messinger Dry Prairie & Savannah, Ginny Coburn, Jared Urban, Nate Fayram, Whitewater Oak Opening, Zach Kastern by paulmozina. Bookmark the permalink. Thanks for all the help and quality conversation at the end of the workday. Even though our mission is huge my optimism grows a little each time we get quality people like we had on Saturday. I think there are more people like us out there and as long as we are able to keep attracting them to our workdays good things will happen. 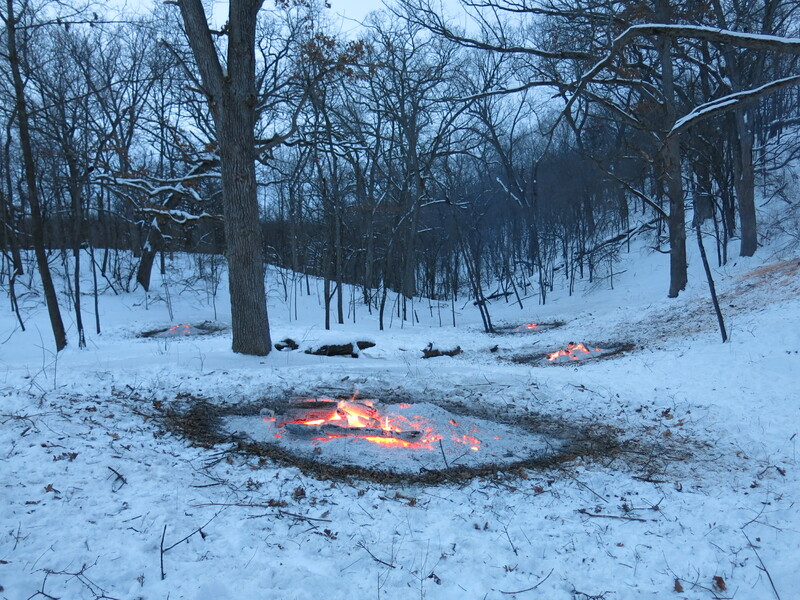 I love the evening shots with the fires glowing. Good stuff Paul.